Join in the fun at Lloyds Auctions or bid online for this auction. What do you do for fun? It’s a common question that you will get asked, whether on a date, meeting new people or during a job interview. If the answer is watching the grass grow, then fair enough – to be honest you might find some grass seeds for auction here at Lloyd’s Auctions. But, if it’s something a little more robust that you are looking for to keep you having fun, then we have a whole range of sports, toys and music-related goods for sale. We’ll keep your hobby happening here at Lloyds Auctions. Are you rad with a reel? Maybe you are after the Shimano Beast Master 9000? If it’s high-tech and efficient sporting equipment you are after, then you just might find what you are looking for under the hammer at Lloyds Auctions. Do you treasure your golf clubs above all else? We have a range of golf clubs and carts to excite any true golf devotee. Cricket fans – we have regular cricket gear including bats, balls, stumps & clothing. Indeed, we have a comprehensive range of sporting goods online, from tennis racquets & cricket bats to gym equipment. And, we have all the accessories that you might need to go along with it – helmets, gloves, sports bags and sports clothing. Expression via the medium of music must surely be one of the purest of art forms. Perhaps you are an accomplished violinist and play upon heart-strings as you play upon the strings of that fine instrument? Or, maybe you play the triangle? We have musical instruments online to suit any aptitude or preference. Could you be looking for some vintage Requena Cuban bongos? Or, maybe a Fender Stratocaster Hot Rod original guitar? 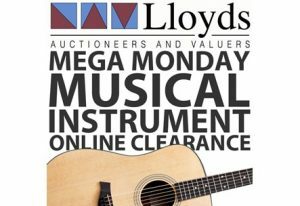 At Lloyds Auctions we have some of the rarest and most prized musical instruments for sale – regularly making their way under our hammer . For musos of any kind – you have come to the right place. Slip n Slide is the best game ever, followed closely by Twister. Whether you agree or not, we have a wide variety of toys and games available at Lloyds Auctions. We stock vintage board games through to digital must-haves – like something to do with Pokemon, for example. If you are looking for toys and games we have quality in-demand items that make for the best birthday and Christmas presents, or just to keep you having fun year ‘round. Our online auctions make it so simple, and you can bid on some items from a starting point of as low as $1. 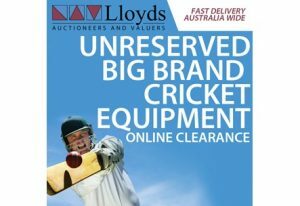 If you are looking for fun at a fraction of the price, then check out our gear here at Lloyds Auctions.